Bonhams achieved results in excess of a million dollar on five cars at the 2015 Paris auction. The top result was €1,897,500 for a 1965 Aston Martin DB5 Cabriolet followed by €1,219,000 for a 1962 Aston Martin DB4 Cabriolet. Of the three 1930s Alfa Romeos, only one cleared the reserve margin. A 1966 AC Cobra 289 surprised by selling well above the pre-auction estimate and for just more than a million dollars. The only top Ferrari on offer failed to find a buyer. The top result achieved at the Bonhams 2015 Paris auction was €1,897,500 ($2,171,878) for a 1965 Aston Martin DB5 Cabriolet – a new record for this model. Only 123 of the 1,021 DB5s produced were convertibles with only 39 convertibles finished as left-hand drive cars. The car has covered only 23,000 miles from new. 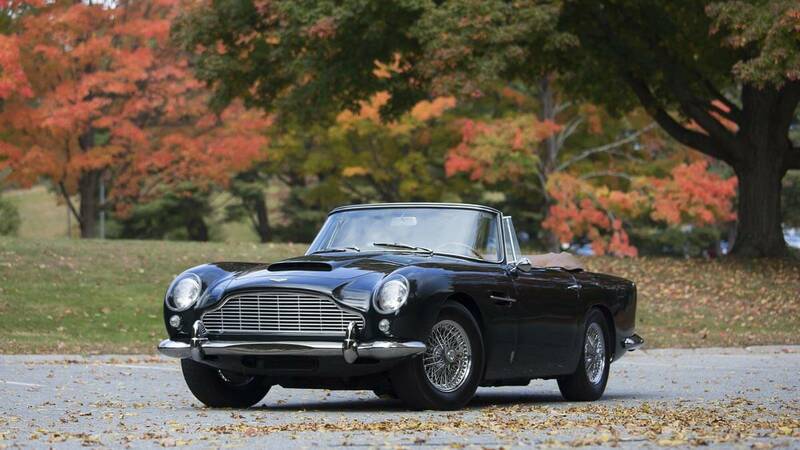 A 1962 Aston Martin DB4 Cabriolet received a highest bid of €920,000 but initially failed to clear the reserve margin. However, it was sold at €1,219,00 ($1,290,879) before the end of the auction. The pre-auction estimate was €1.2-1.6 million. According to Bonhams, the DB4 was the first production car capable of accelerating from a standing start to 100 mph and back to rest again in under 30 seconds. Bonhams had three 1930s Alfa Romeo 6C cars on offer at the 2015 Paris classic car sale. The top result achieved was €1,184,500 ($1,351,514) for a 1930 Alfa Romeo 6C 1750 Grand Sport. This Alfa Romeo with English coachwork by James Young was driven by Boris Ivanowski to a class win at the 1930 Brooklands Double Twelve. A 1931 Alfa Romeo 6C 1750 Spider Grand Sport with a pre-auction estimate of €1,8 to €2.4 million was expected to be the top result at the Bonhams 2015 Paris auction but the highest bid of €1.5 million fell short of the reserve margin. The highest bid for a 1937 Alfa Romeo 6C 2300 Pescara Berlinetta was €650,000 – well below the pre-auction estimate of €800,000 to €1,400,000. The 1939 Alfa Romeo 6C 2500 of Mussolini’s mistress similarly failed to sell at the RM Auctions 2015 Paris sale despite a highest bid of €1.8 million. A 1966 AC Cobra 289 Mark II Roadster was one of the surprises at the Bonhams 2015 Paris sale. It achieved €937,250 ($1,072,776) – well in excess of the pre-auction estimate of €6-700,000. The car was originally a right-hand drive model but was converted to left-hand drive. Amongst it illustrious former owners was Amschel Rotschild – a gentleman racer from the famous banking family. A 1930 Isotta Fraschini 8A SS Cabriolet sold for €931,500 ($1,062,841). During the 1920s, Isotta Fraschini produced some of the most-luxurious and most-expensive cars in Italy. Cars exported to America were even more expensive than the Duesenberg Model J. The only top Ferrari offered at the Bonhams 2015 Paris auction was a 2007 Ferrari FXX Evoluzione Berlinetta. Bidding stopped at €980,000 – well below the pre-auction estimate of €1.4-1.7 million. A 1970 Ferrari 365 GTB/4 Daytona Spider Conversion sold for €650,000 and a 1990 Ferrari F40 achieved €724,500 – both well above pre-auction estimates. The top bid of €760,000 for a 1955 Bentley Continental Type R Coupé was similarly well short of the estimate of €850,000 to €1,150,000. Bonhams next major car auction will be its first appearance at Amelia Island in mid-March with a new Goodwood Members’ Meeting sale and the second Mercedes Benz Sale in Stuttgart to follow later in March.